Our November Box is everything to get you thru the holiday season. Christmas parties, Christmas concerts, family gatherings; this box is just what you need! Available in small thru large. 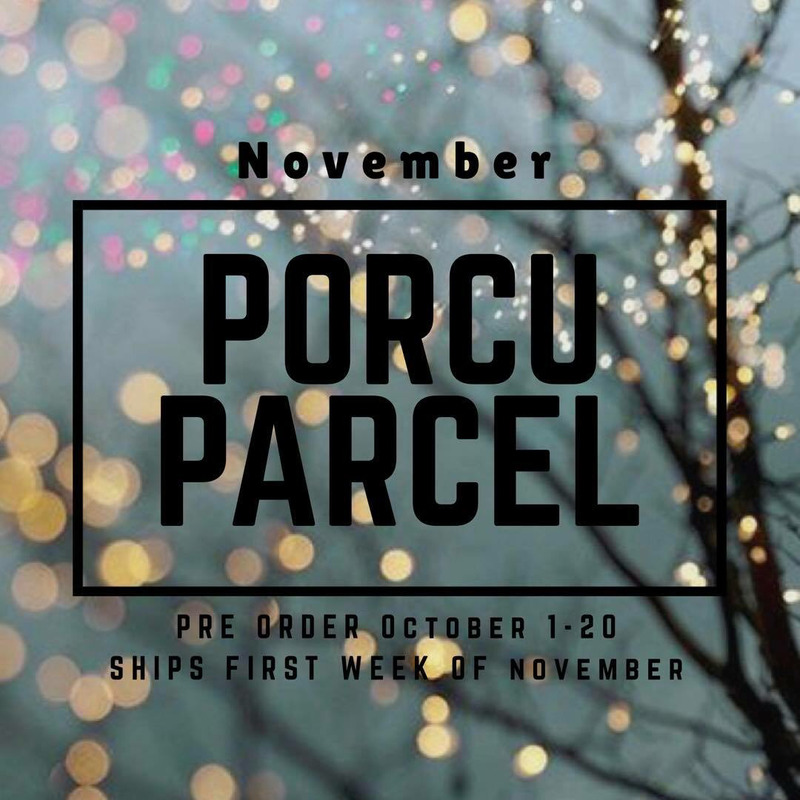 Our November Porcuparcel Style Box is a must have and will ship out approximately November 1st. Ordering for these closes on the 20th of October or when we sell out so don't wait!